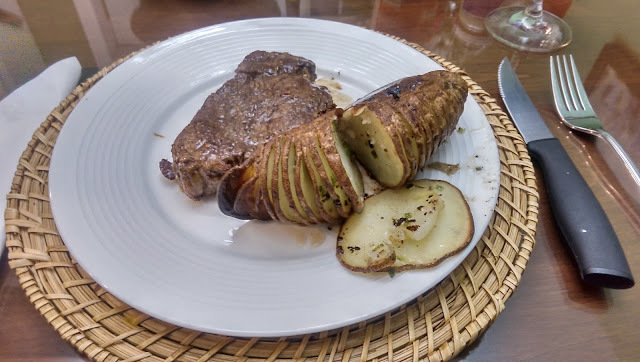 Last Sunday's dinner included this Hasselback Potato recipe, russets sliced 1/4" apart and not quite all the way through, with a chive-butter-oil mixture brushed all over and inside. I would recommend adding some garlic to kick it up a notch. That's some fancy, and easy, taters!